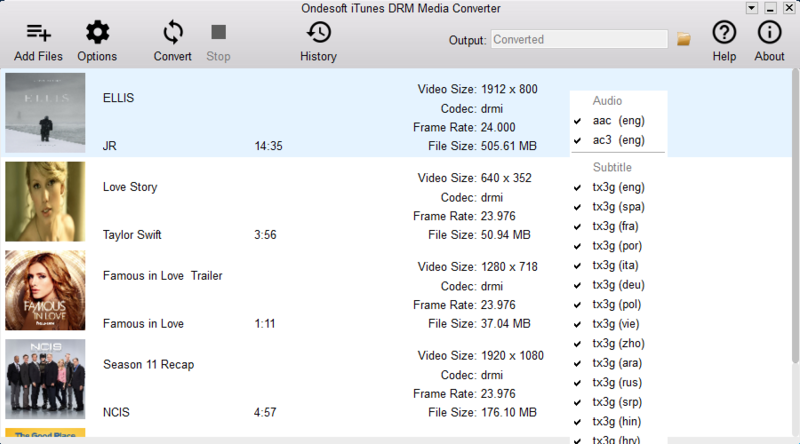 iTunes video DRM removal, M4V to MP4 converter, iTunes movie converter. 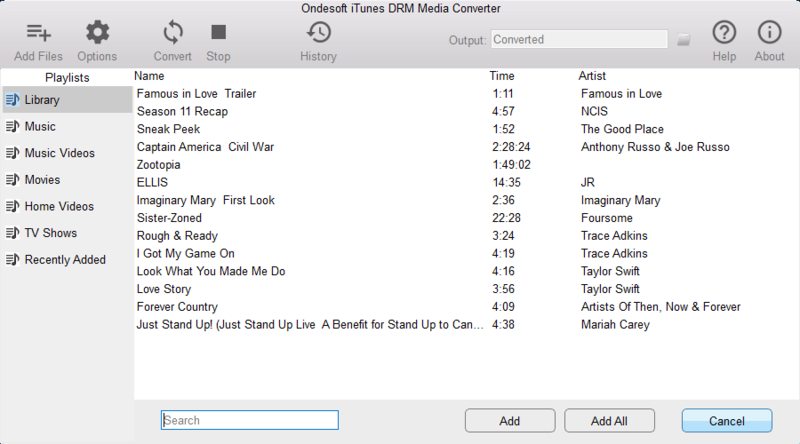 Ondesoft iTunes DRM Media Converter for Windows is famous iTunes video DRM removal software . 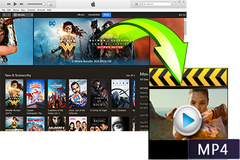 It allows you to easily remove DRM from iTunes M4V movies/TV shows/music videos and convert M4V to MP4 to play on TV, Android phone/tablets or other video players. 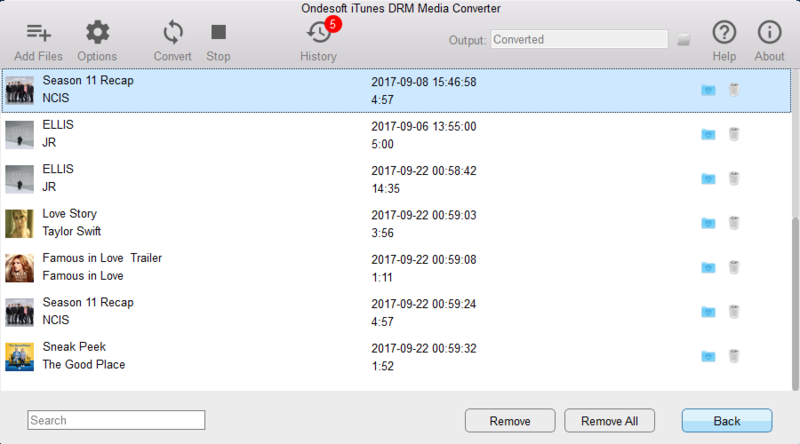 Convert iTunes M4V to DRM-free MP4. Remove DRM from iTunes movies, TV shows and music videos. Keep all AC3 Dolby 5.1 Audio, AD, Audio Tracks, Subtitles and Closed Captions. Convert M4V to MP4 at 15X speed. 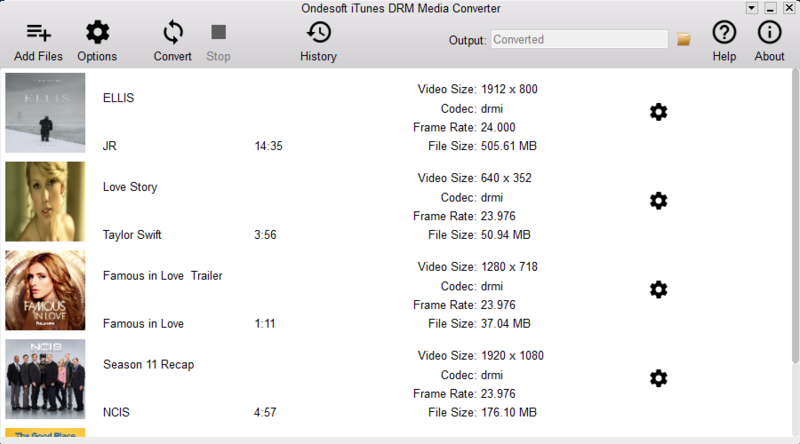 Remove DRM and make exact 1:1 copy of iTunes video without quality loss . Multilingual interface: English, French, Japanese, German, Spanish, Simplified Chinese and Traditional Chinese.